MALTA, Gozo and Comino, the inhabited islands of the Maltese archipelago, lie at almost the exact geographical heart of the Mediterranean Sea. With Sicily some 95 kms to the North, Tripoli 350 kms to the South and Tunis 320 kms to the West, Malta is virtually at the crossroads between continents. The islands' strategic position has, in fact, made them subject to a succession of rulers, who in turn left their influence on the country and language as we know them today. Malta's pre-history dates back to 5000 B.C., whilst its documented past is traceable over a period of 2000 years. The national language is Maltese which is a complex derivative of Semitic and Romance languages using a primarily Latin alphabet but also including a number of additional letters which originate in the Arab language. English is also an official language. The climate is typically Mediterranean, having mild winters and hot summers. Malta has a population of over 421,000 and is visited annually by some one and a half million tourists. Air Malta and other international airlines link Malta with the major European and North African cities. There are daily connections to London (Heathrow and Gatwick Airports) and Rome as well as frequent direct flights to Milan, Brussels, Paris, Frankfurt, Zurich, Athens, Tunis, Cairo, Tel Aviv and Dubai. A sophisticated telecommunications system, mobile telephony, cardphone/internet booths and internet cafés, ensure easy international links. 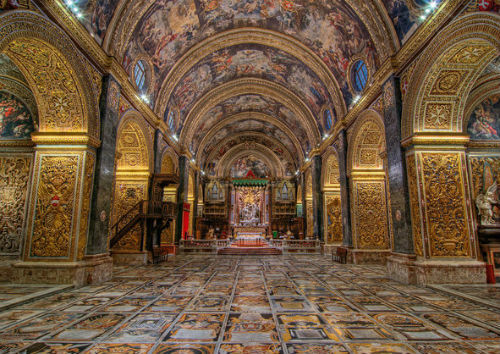 The Capital City, Valletta, commissioned by Grandmaster La Vallette after the Great Siege of 1565, has been selected as European Capital of Culture 2018.